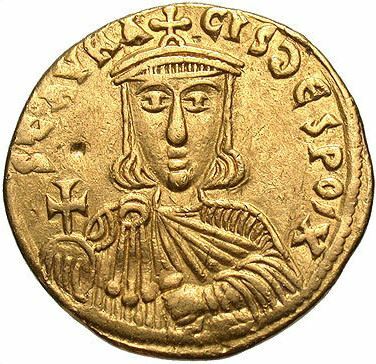 Staurakios was Byzantine Emperor from 26 July to 2 October 811. He was born some time after 778 AD, to Nikephoros I and an unknown woman. Nikephoros seized the throne of the Byzantine Empire from Irene of Athens in 802, and elevated Staurakios to co-emperor in December 803.
fter Nikephoros fell in the Battle of Pliska on 26 July 811, Staurakios was declared emperor, despite his severe injuries. However, due to these injuries his reign was short, he was usurped by his brother-in-law, Michael I Rangabe, on 2 October 811, after which he was sent to live in a monastery, where he stayed until he died of gangrene on 11 January 812.